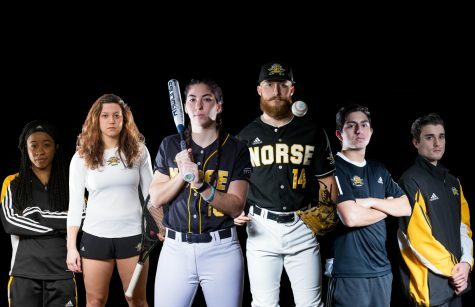 NKU senior Kyle Colletta and the Norse dropped all four games to Sacramento State over the weekend. 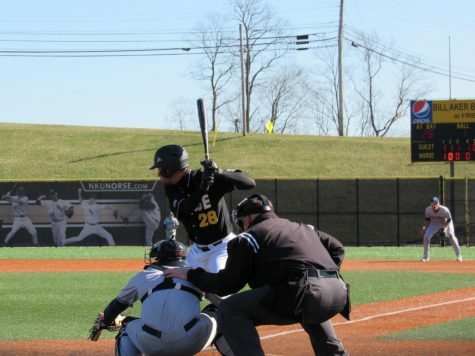 The NKU baseball team was swept in a four game series by Sacramento State over the weekend. The Norse drop to 1-6 on the season while Sacramento State improves to 6-1 on the season. The Norse played the Hornets tough in three out of the four games, but couldn’t get over the hump. 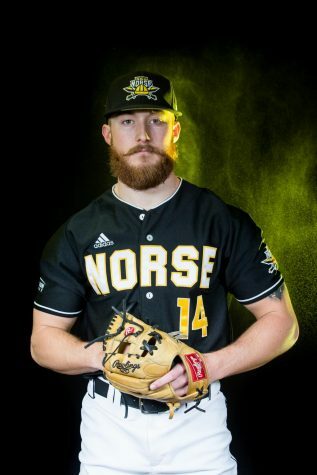 The Norse will look to end their five game skid on Friday March 3, when they travel to play Georgia State at 4 p.m..
Trey Ganns recovered from his first start jitters to pitch 5.1 innings, giving up just one run and striking out four and walking four. He would take the tough loss to drop his record to 0-2 on the season. The Norse couldn’t get anything going against Justin Dillion, who pitched a complete game shutout and struck out 13 Norse batters. Dillion only faced 29 batters. The Hornets got their first run in the first inning after Ian Dawkins scored on a Kody Reynolds sacrifice fly. The game remained 1-0 until the seventh inning, when James Outman forced a bases loaded walk that scored Dawsen Bacho. TJ Alas led the game off with his second homerun of the season to begin the scoring. The Hornets would respond in the second, when Outman singled to right to score Reynolds and Dawkins. The Norse would strike again in the third, when Will Haueter singled to score Alas. Mike Moffatt would get hit by a pitch with the bases loaded a few batters later to score Jake Richmond. 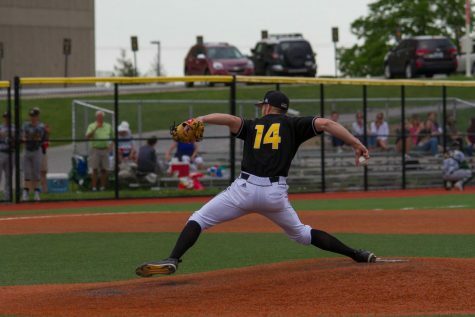 The Hornets would take the lead back in the bottom of the inning, after an Outman singled to scored Devin Lehman, followed by a sacrifice fly from Vinny Esposito that scored Reynolds. Alas would double in Mercurio to tie the game at four in the fourth inning, ending the scoring until extra innings. In extras, Haueter single in Preston Pilat to give the Norse a 5-4 lead. It wouldn’t last. Trent Goodrich single through the left side, which scored Brandon Hunley. Dawkins then singled to score Blake Edmonson for the walk off win. Alas went 3-4 with two RBI and two runs scored. 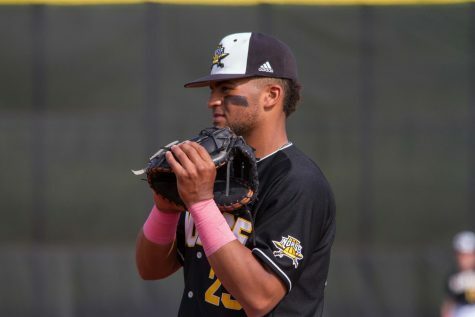 Jordan Menfee only lasted two innings for the Norse, giving up three runs on seven hits. Giving the Hornets a 3-0 lead in the third inning. 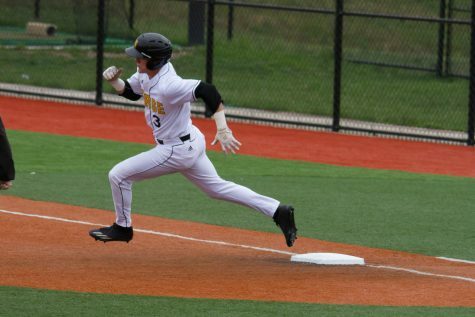 The Hornets would explode in the sixth inning off Pierce Kinsley, scoring six runs on five hits and a fielding error. 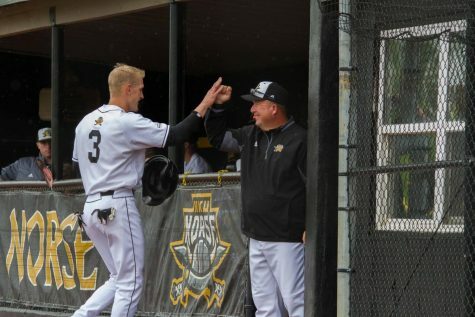 The Norse offense struggled to gain any traction against Parker Brahms who pitched seven innings of shutout baseball, giving up three hits and striking out nine. Outman went 2-3 and recorded four RBI on the day while Andrew McWilliam went 2-3 and scored two runs. 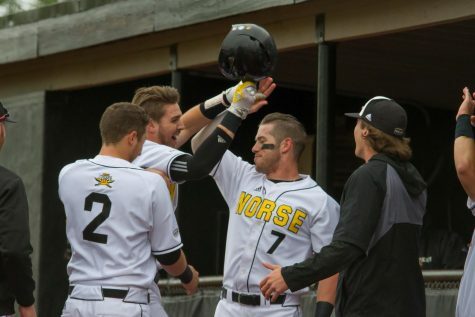 The Norse collected 15 hits and scored 11 runs, but that wasn’t enough to get their first win of the season. Sacramento State finished the day with 16 hits and scored 12 runs. Alas went 3-6 on the day, scoring two runs while Ganns went 2-4 with two RBI. Haueter also wento 2-5 with a run scored and an RBI. Dawkins went 4-5 with three RBI for the Hornets, while Outman and Reynolds each had three RBI days. 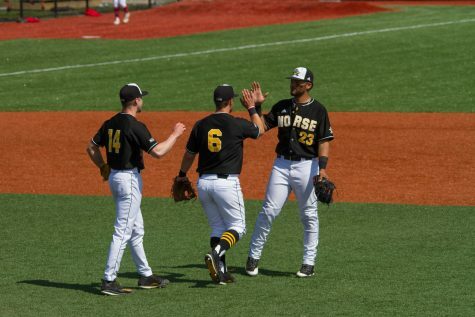 The Norse used five pitchers, including Cameron Ross who gave up five runs on seven hits.